Putting a fresh face on the classic Artek Alvar Aalto Stool 60, German artist Mike Meiré plays with six different colors on the legs and seat of the iconic design. Wanting to portray the notion of the stool being in constant movement, Meiré created contained chaos and disorder by painting each of the three legs of the stool a different hue, allowing a new perspective every time the stool is moved. 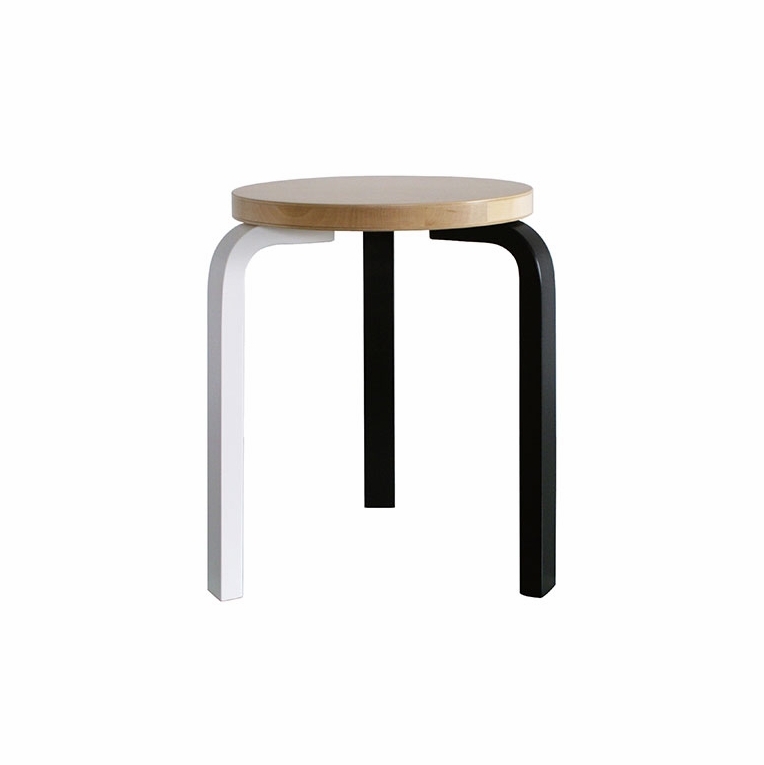 A classic stool with a contemporary statement, the Artek Special Edition Mike Meiré Stool 60 is a special edition that any Aalto fan will find fitting.Please review our Shipping Information page before ordering. Payment: 50% will be charged at time of order, remainder will be charged at time of shipment.